To the uninitiated, figuring out where to put a new solar energy installation is a simple process. Find some open land, build a solar farm on it, and connect it to the grid. It’s as easy as 1, 2, 3. Things in real life seldom work out so simply, however. A number of factors go into determining whether a particular location is appropriate for solar power. In some places, interconnection costs are too high for a solar installation to be profitable. There are other factors at work as well. Accurate data about where property lines are located is vital information, as is the effect of local zoning policy, wetlands considerations, and other factors like historical markers and rights of way. Utilities often do not have their distribution systems fully mapped. Even if they do, they are none too anxious to share that information with third-party solar developers. That tends to keep the soft costs of development high even though the cost of solar equipment has declined significantly. Kevala Analytics wants to solve that problem. The company raised $1.7 million from the U.S. Department of Energy’s SunShot Initiative last fall to help scale its Grid Assessor platform. 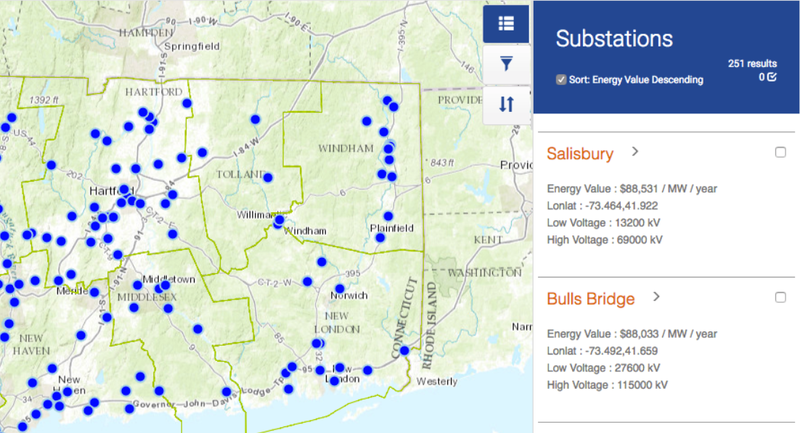 That is a statistical database that brings together public data on wholesale pricing and substation locations. That information helps developers understand the local electricity value of a particular site. “Just like any other industry, market participants need to know where solar values are trending,” said Kevala CEO Aram Shumavon in a statement. “Instead of searching an entire territory or region, we can help developers find the best locations in a few clicks.” Andrew Reed, executive vice president for project development at Borrego Solar says, “A lot of this information is publicly available, but it’s hard to aggregate and hard to get all in one format.” Borrego Solar is one developer that recently tested the software. Convincing utilities across the United States to provide hosting capacity analyses and locational pricing for distributed assets is a fantasy in many cases. Utilities need to make expensive upgrades to their systems in order to collect the sort of data that developers want. There are also issues of data privacy and trade secrets. Kevala is more than simply a tool for solar developers or utilities. The California Clean Energy Fund chose Kevala to build a map of non-compliant Volkswagen diesel cars within the state. The company is also working on a pilot project for BMW and the California Clean Energy Commission to help both understand the best patterns for electric-vehicle charging.